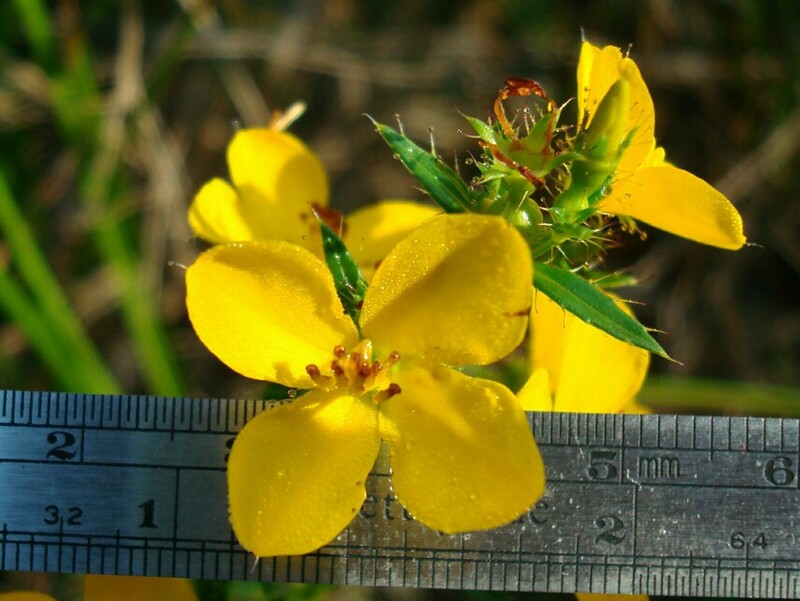 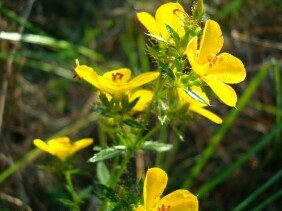 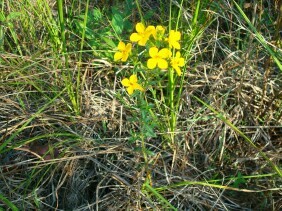 Yellow Meadow Beauty is our only yellow Meadow Beauty. 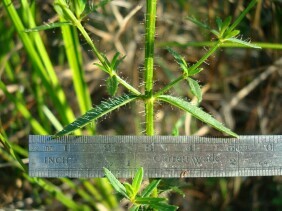 The hairy stem and leaves are very simular to those of Pale Meadow Beauty. 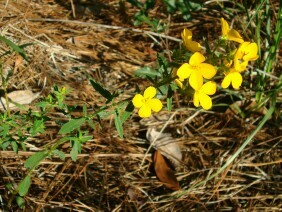 As with all the meadow beauties, the urn shaped hypanthium remains after flowers and leaves are gone. 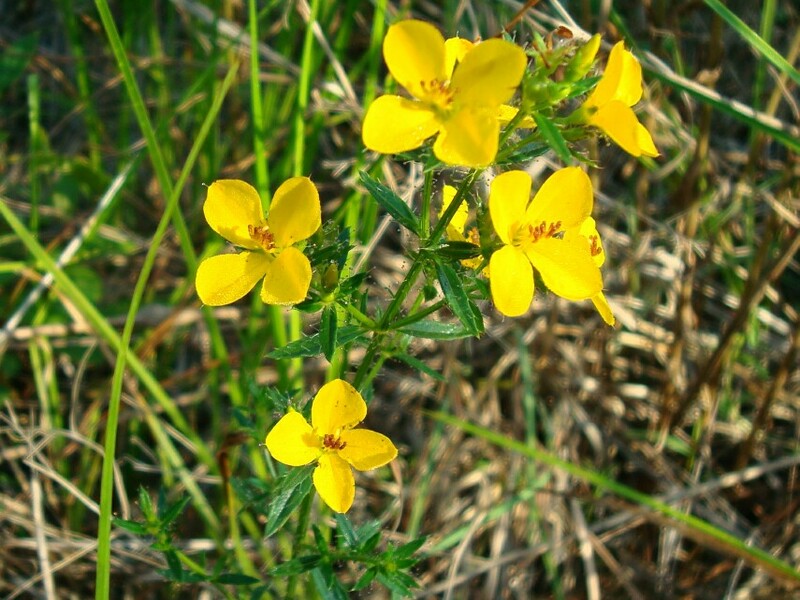 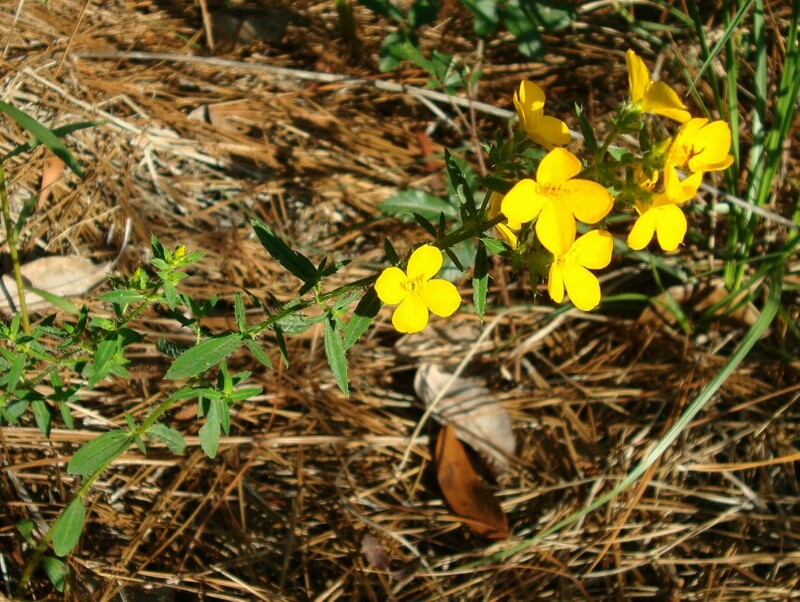 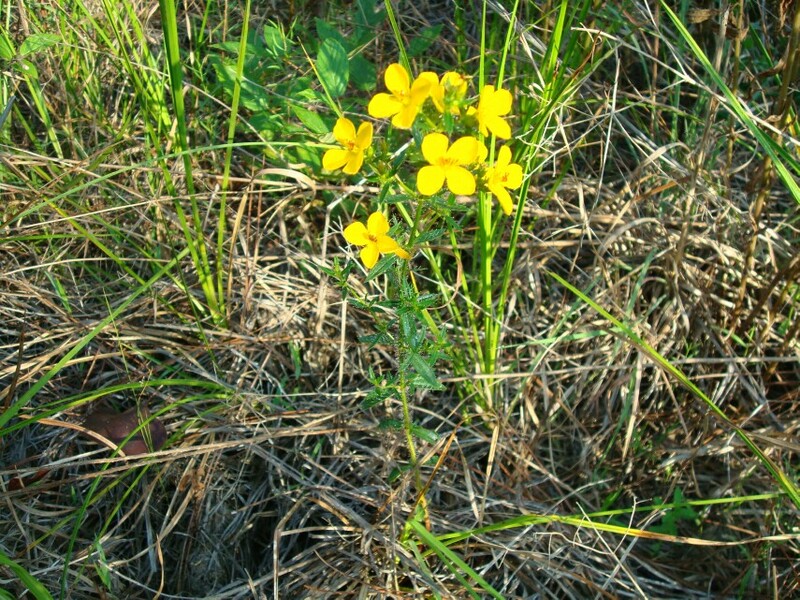 This plant was photographed near Todd Acres Road, in South Mobile County, Alabama, in early June.